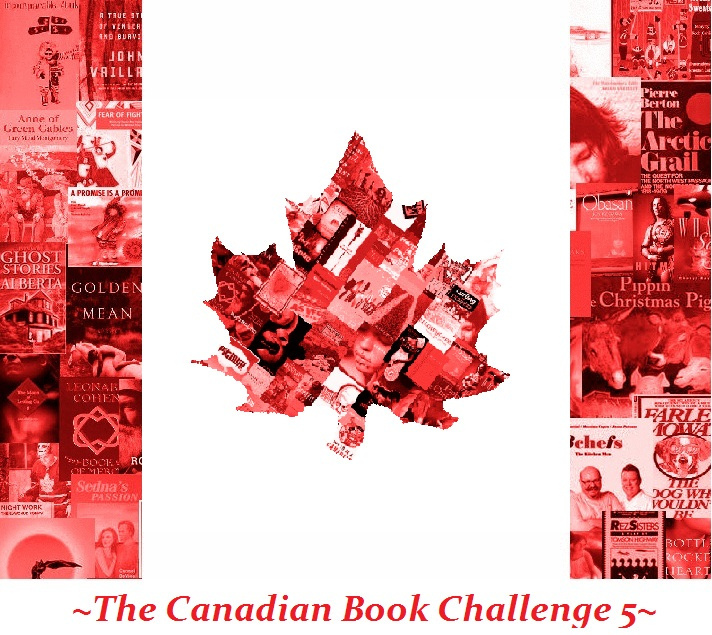 This is my 3rd Canadian re-read for the 5th Canadian Book Challenge over at The Book Mine Set. I'm falling a bit behind schedule if I want to finish 13 by the end of June! Book: The English Patient by Michael Ondaatje. I'm not sure that I like this cover - mine has Kip (the sapper) scaling a mud wall. First Read: Autumn 1995. I remember finishing this book in the middle of a university Calculus tutorial, and not wanting the book to end, so flipping back to the first page and immediately starting over again. Original Impressions: I loved this book so much, that I have called it one of my favourite books of all time. What sticks in my mind from the original back-to-back readings were snippets of plot, some very strong images (e.g. a plane coming down in the Sahara desert), but mostly the beautiful language. I approached this re-read with some trepidation; as I was hoping, but not sure (based on Ondaatje's more recent books) that I would still love it so much. Current Impression: I needn't have worried. I still love this book. It is still written with beautiful language. It is still peopled with strong characters. It is still a memorable book, and my favourite of all of Ondaatje's books that I have read. 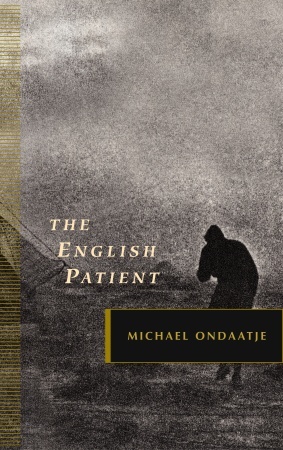 I love Michael Ondaatje's poetry; and I think that his earlier novels (The English Patient, and In the Skin of a Lion) best capture the poetic language. This has somehow been lost in his more recent novels (Anil's Ghost, Divisadero, The Cat's Table). His ability to convey so much imagery in so few words is incredible and heartbreaking at the same time. As I was reading this time through, there were some phrases and sentences that caught my attention and triggered memories of my original readings - I hadn't realized that they stuck with my subconscious. "'Do they have moondials? Has anyone invented one? Perhaps every architect preparing a villa hides a moondial for thieves, like a necessary tithe.'" "'Could you fall in love with her if she wasn't smarter than you? I mean, she may not be smarter than you. But isn't it important for you to think she is smarter than you in order to fall in love?'" "I was in her arms. I had pushed the sleeve of her shirt up to the shoulder so I could see her vaccination scar. I love this, I said. This pale aureole on her arm. I see the instrument scratch and then punch the serum within her and then release itself, free of her skin, years ago, when she was nine years old, in a school gymnasium." "'I shall have to learn how to miss you.'" There is a very limited cast of characters central to this book. There are 4 of them, in a villa in Italy, in the summer of 1945 in the closing days of the 2nd world war. All 4 are hurting due to the war. Hana is a nurse who has lost her father, all of the soldiers that she has nursed, and her unborn baby. Kip is a sapper (bomb and landmine disposer) who has lost his mentors, his co-workers, and his identity as a Sikh from Punjab. Carravagio is a thief who was recruited as a spy who was caught and tortured, then lost his thumbs and became addicted to morphine. And finally there is the "English Patient" who was burned beyond recognition in a plane crash, but who had multiple losses before the physical injury. Hana is the one character that I would like to know more about, both after my first readings and after this reading. She appeared as a child in In the Skin of a Lion; and now as a young adult in The English Patient. I would love to see her as she grows into full adulthood, likely back in Canada. There are hints given at the end of The English Patient, but to me, they aren't enough. I did see the movie made of this book (with the screenplay written by Michael Ondaatje himself), but it didn't make as strong of an impression on me as the book did. It focused mainly on the back story of the "English Patient" rather than the present day interactions between the characters in the villa (which is the part of this book that intrigued me most, but would be hardest to depict in a movie). I'm so glad that this book lived up to my memories of it! Tracy - Unfortunately, I found Anil's Ghost to be very forgettable... I did enjoy In The Skin of a Lion though! I guess we will just have to agree to disagree on Michael Ondaatje's books!